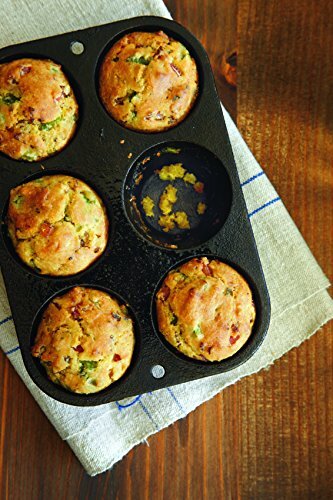 Seasoned and ready to use straight sided mini muffin/cornbread pan with 6 impressions. 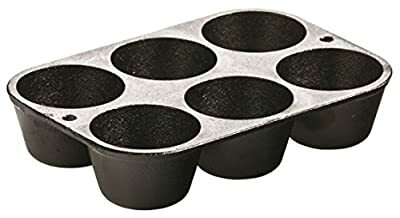 Old fashioned muffins are always a treat. Cast Iron cooks best. The even heat control allows for a perfect bread crust every time. Pre-Seasoned and ready to use. Impressions are 2.5" in diameter and 1.5" deep. Pan measures 7.62" L x 5.25" W x 1.5" H.